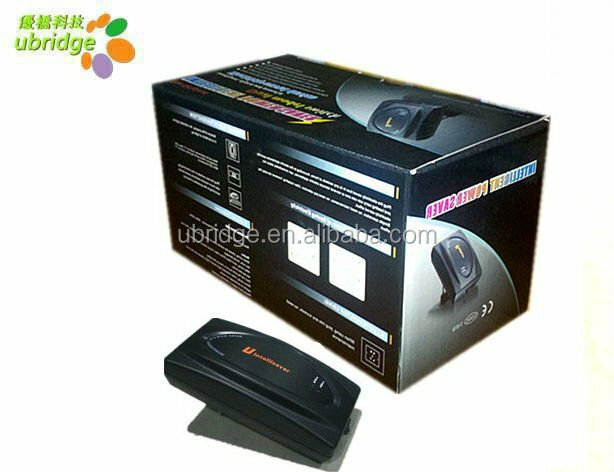 Patent Design , protect your market . 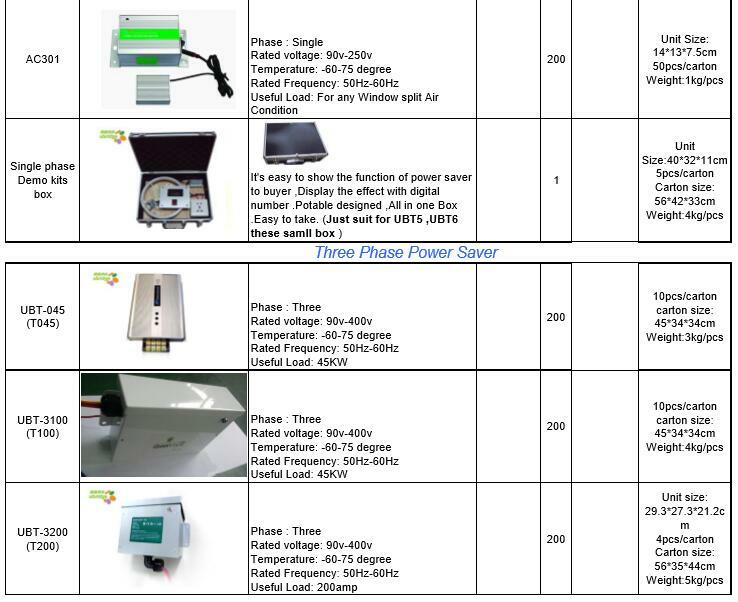 Our saver is to improve Power Factor,and reduce current(current),then save the electricity. 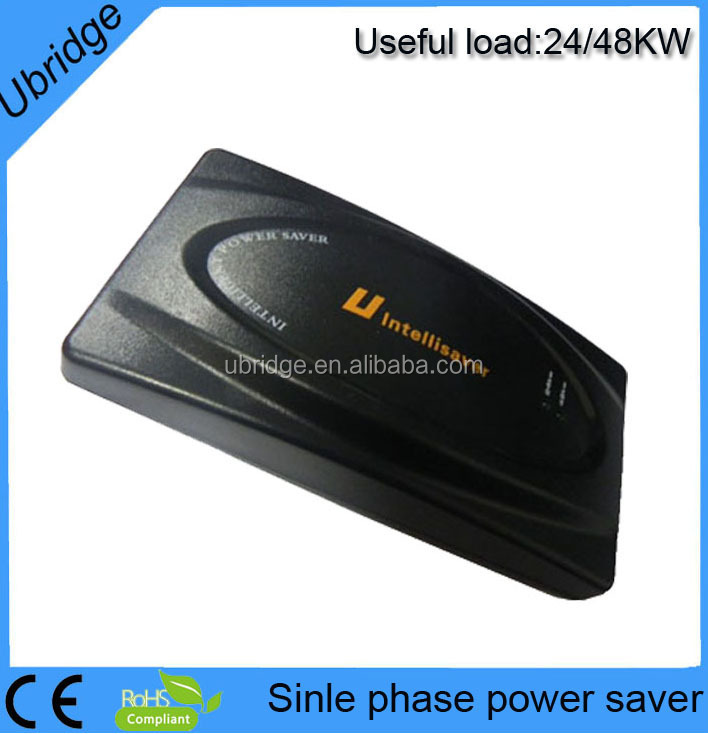 also have other function,such as optimizer voltage,surge protection,stablize voltage. 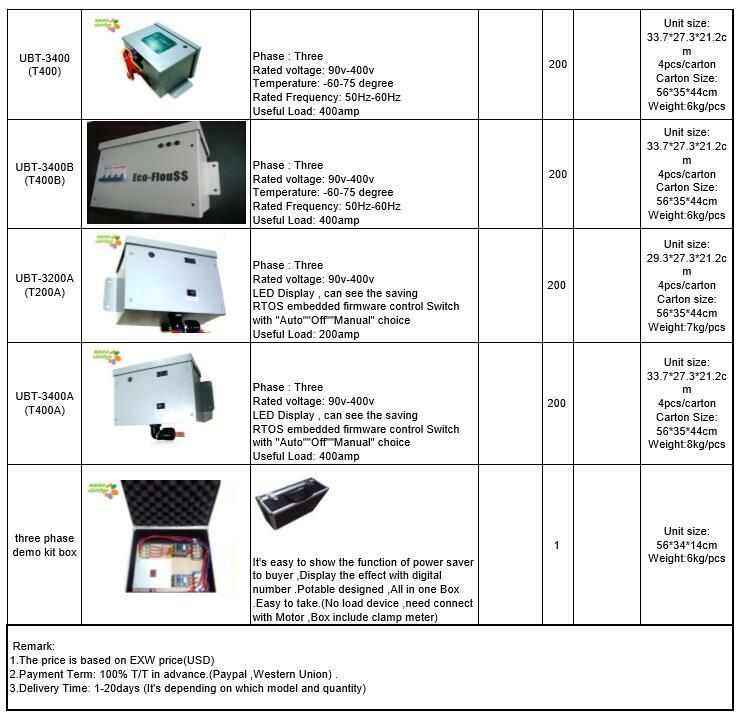 4)Arrange all relevant matter for shipment. 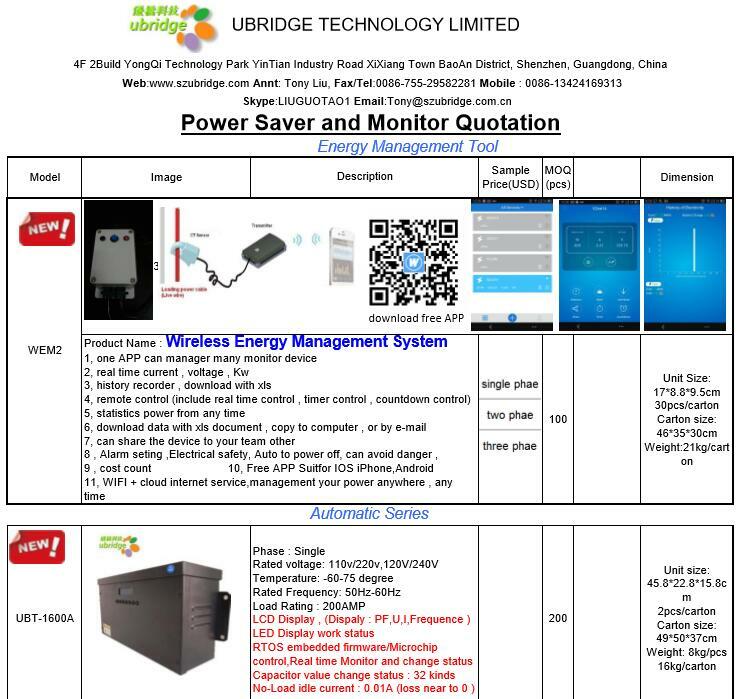 UBRIDGE is an established high-tech firm specialized in the research, development, engineering, and marketing of Power Saver solutions. We have professional engineers always staying at the forefront of Energy Saving . We're especially well-placed in the field of ECO thermal management and related energy solutions. Q1:How much energy can save via the Energy Power Saver? It can Save up to 40%. Q2:Does Energy Power Saver can be used all Over the World ? Single phase:used for home,suit for every Country except USA,Mexico,Canada. 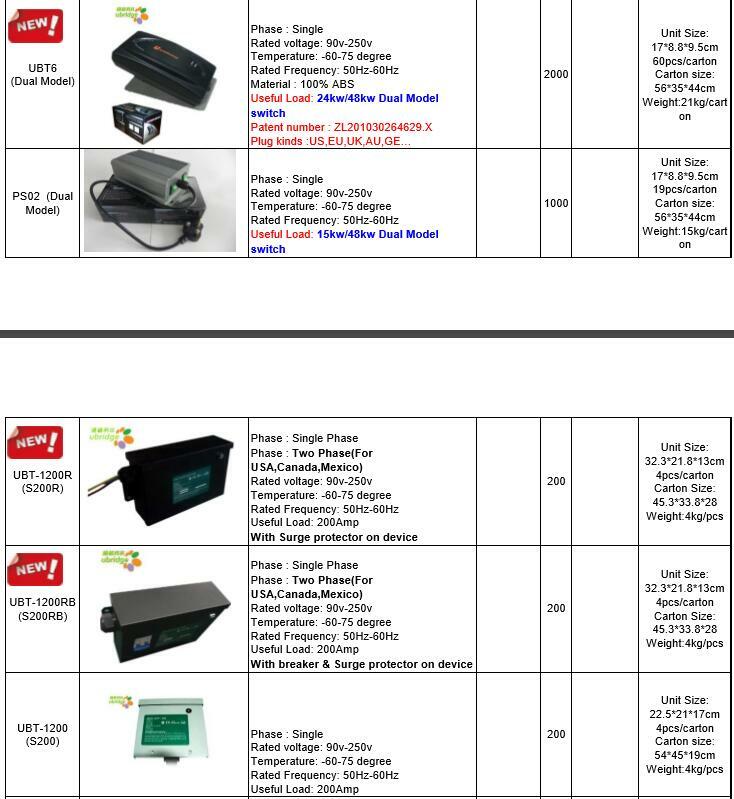 Two phase:used for home,special for USA,Mexico,Canada. 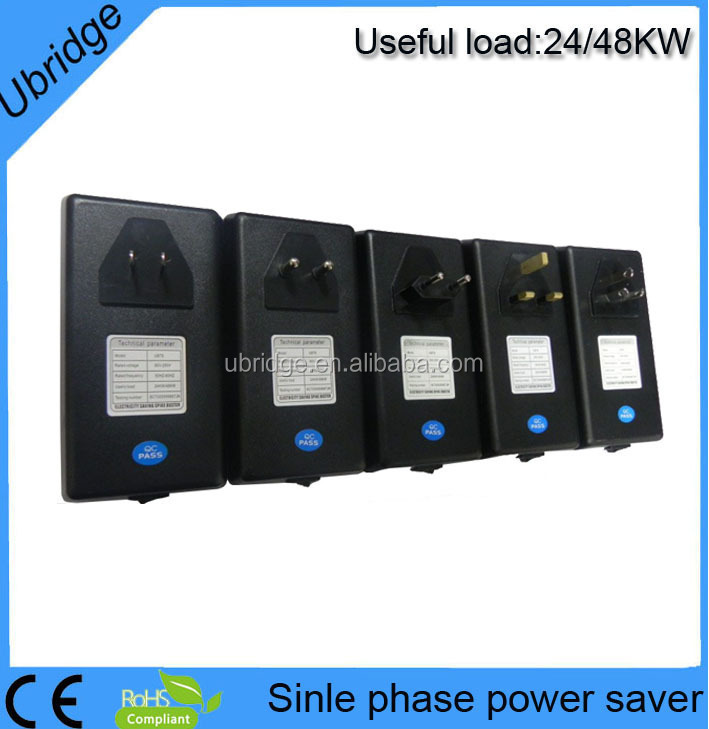 Three phase:used for Indusry ,suit for all over the World. 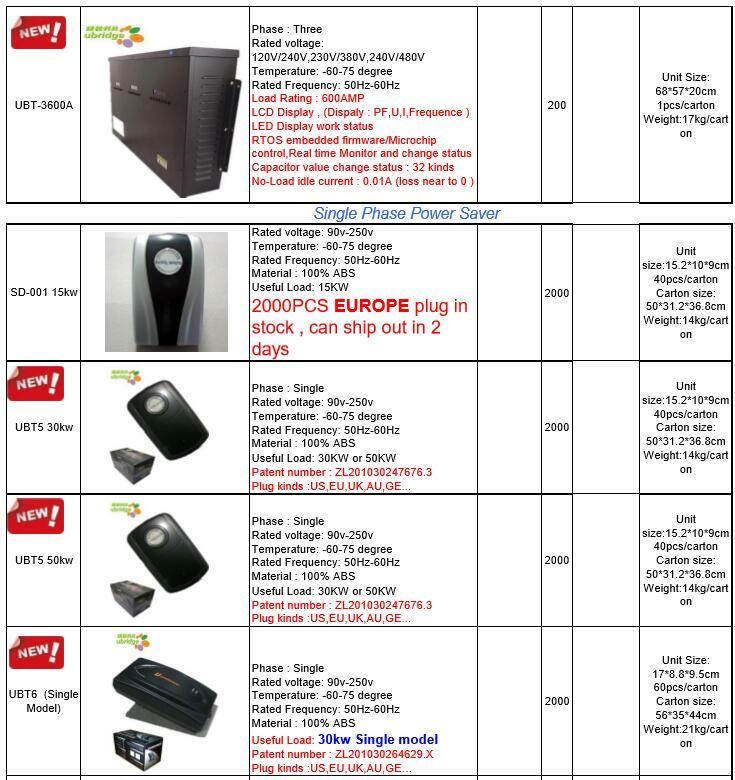 Q3:Is it different Energy Power Saver is used for different System? Q4:The Energy Power Saver is usually used for where? Q5:Do you have the Operation Instructions? Q6:Do you Accept OEM Products ? Q7:Which Shipping Method usually for export ? Q8:What is your Payment Terms ? Q9:You are a Trading Company or Manufacture ? We are The Manufacture for 6 years till now.